Peter Niedmann won the Fyfe Prize in March, 2019 for his Praise Ye the Lord for SATB & organ. 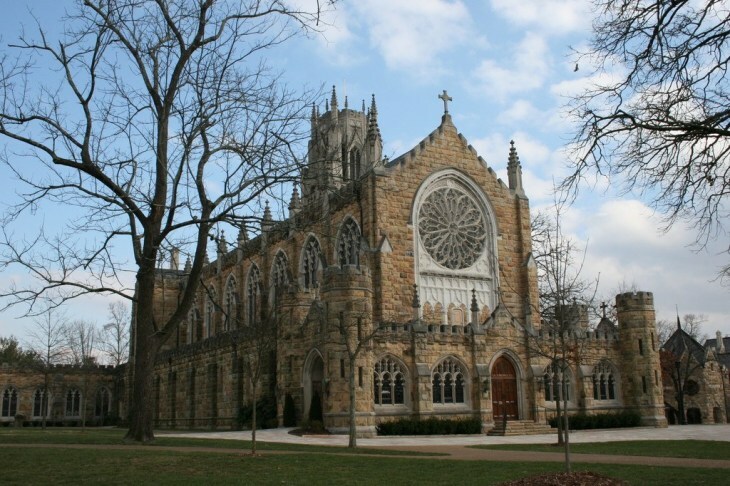 The Fyfe Prize is an annual choral composition competition administered by the Sewanee Church Music Conference. Composers from Argentina, Australia, Austria, Brazil, Canada, Chile, China, Croatia, Czech Republic, England, Germany, Italy, New Zealand, Poland, Portugal, Russia, South Korea, Sweden, the United States, and Wales submitted entries. The piece was premiered on March 2 by the Chorus of Westerly, Rhode Island (Andrew Howell, music director). It will be sung at the Sewanee Conference in July. 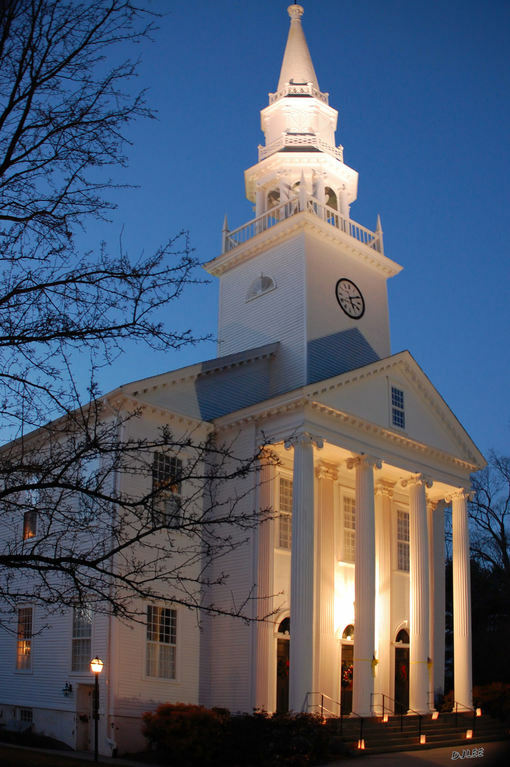 First Congregational Church, Cheshire, Connecticut (Joseph D’Eugenio, Music Director) has commissioned Peter Niedmann to compose a multi-movement choral work for choir and organ. The new piece, celebrating the restoration and expansion of the church’s organ, will be premiered on Sunday, November 3, 2019. MorningStar Music has released I Come With Joy. Using the popular Brian Wren text, with its recent revisions, the Communion anthem is for SATB unaccompanied voices. To listen and view the sheet music, click here. The Sacred Music Press (Lorenz Corporation) has released If Ye Love Me. For SATB & piano, the anthem uses the classic John 14 text. The piece was premiered in concert by The Chorus of Westerly, Rhode Island (Andrew Howell, Music Director) on March 18th, 2018. To listen and view the sheet music, click here. 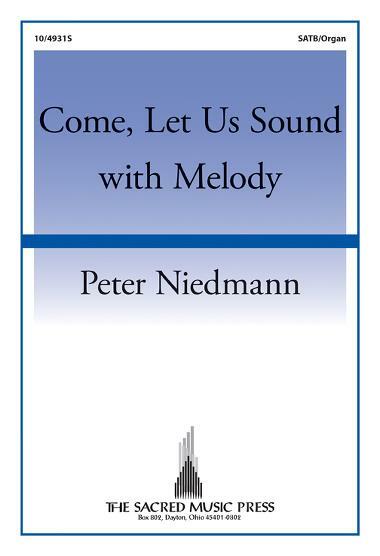 The Sacred Music Press has published Peter Niedmann's dramatic anthem, Come, Let us Sound with Melody. For SATB & organ, the piece is built on the excellent Thomas Campion poem. The GM Chorale (Joseph D'Eugenio, music director) premiered the piece in 2008 in Newington, Connecticut. To peruse and listen to the anthem, go here. Augsburg Fortress has published Heir of the Highest Heaven, for SATB voices and organ. Commissioned by First Congregational Church, Columbus, Ohio (Kevin Jones, music director) in 2013, and included on their CD of the same name. Text from the poem "Immanuel" by Washington Gladden, the esteemed former pastor of First Congregational Church, Columbus. The piece is suitable for both Advent and Christmas. To listen to the anthem or purchase sheet music, click: Heir of the Highest Heaven. Peter Niedmann received the American Guild of Organists Choir Master certificate, after successfully completing a comprehensive written and practical exam in the spring. The Choir Master certificate is awarded to church musicians who possess a broad knowledge of all aspects of church music. Included in the exam are questions about hymnody, liturgy, plainchant notation, harmonic analysis, and choral repertoire. The practical section includes conducting a choir in 3 pieces, harmonizing melodies, sight-reading, and hymn-playing on the organ. He also holds the AGO Associate certificate, which focuses on organ performance. Copyright 2019 Niedmannotes. All rights reserved.